Nothing makes a space feel more fresh and alive than a plant (or 5, if you’re me). Not only do they make the space look decorative, but they also benefit by cleaning the air and boosting spirits. In an office environment where you may not have constant sunlight, succulents like cacti and aloe will thrive, and you won’t have to stress about keeping them constantly watered. 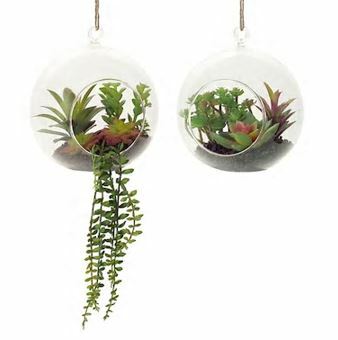 Recently opened inside Bower Place, Calyx Floral Design has a wide collection of such succulents in a variety of pots, planters and hanging terrariums for any office atmosphere (they even have planters shaped like dinosaurs. . . Aloesaurus anyone?). 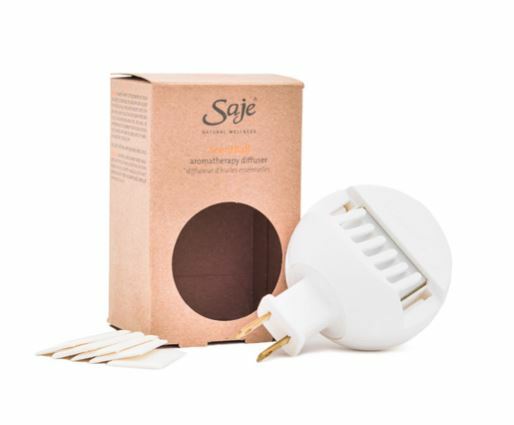 This convenient wall plug from Saje will take the diffuser blends you love and make them office appropriate. Simply add your favorite essential oil blend to the diffuser pad and insert. Plug the diffuser into any socket and enjoy the instant benefits of aromatherapy. I recommend trying “Liquid Sunshine” blend for it’s uplifting bright citrus notes, perfect for battling the Monday blues. I can never get enough hand cream. Especially with Central Alberta’s constantly changing weather, my skin gets dry and cracked super easily… And don’t get me started on my cuticles. That’s why I always have some type of hand lotion in arms reach so I can make sure my hands are soft and supple (you never know who’s hand you’ll shake today!). 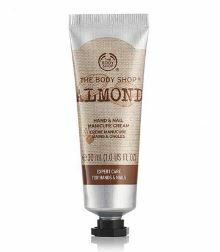 My current fave is the Almond Hand Cream from The Body Shop. It has sweet almond oil and shea butter that will not only make your skin soft, but will also condition nails and cuticles … It’s like it was made for me! Sometimes you just need something to calm your mind and bring you back down to earth. 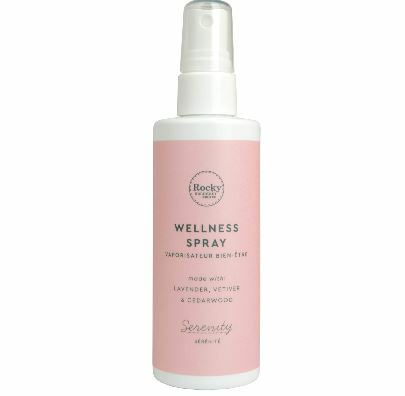 I discovered the Wellness Spray line from Rocky Mountain Soap Company and I love how refreshing and calming their effects are. Simply shake well and mist above your head and inhale deeply through the nose to take in the essential oils. Outside the office it’s also perfect to spray on your pillow in your car for serenity on the go. I don’t know about you, but I cannot handle heels all day. They may look fabulous, but when my feet start screaming in protest, it’s time for a switch. My secret is to keep a pair of cozy shoes under my desk that I can slip into when needed. 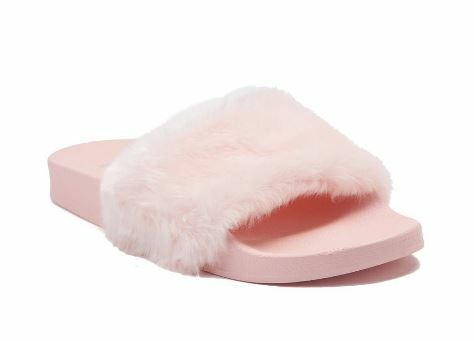 These Steve Madden slides from Journeys are perfect for those occasions: leisurely chic and comfortable, they don faux fur with a molded footbed for ultimate comfort. No matter how good your hair days is at 9:00am, there’s always the chance that it will fall flat by 3:00pm. So for me, and essential in my desk drawer is always hair ties that I grabbed from Shoppers Drug Mart. A quick updo or sleek pony tail will always make me feel refreshed and ready to take on the rest of the afternoon. Whether you are a coffee connoisseur, a tea specialist, or a lover of all warm beverages, this mug will be your desk essential. 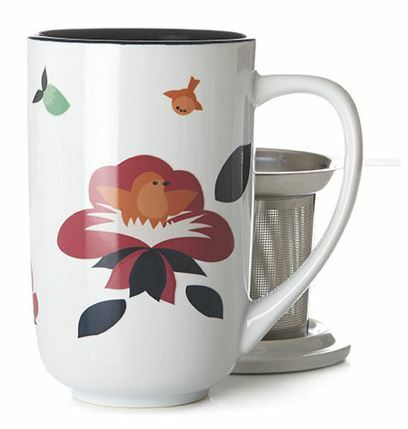 This one from Davids Tea comes with a steel infuser so you can brew all your favorite loose teas, or simply pour yourself a cup from the coffee pot. Bonus; reusing your ceramic mug will save you from the constant need of disposable cups! Finally, no space is complete with bare walls. Hudson’s Bay has a fabulous selection of wall décor, mirrors and decorative displays that will take those four bland walls up a notch! 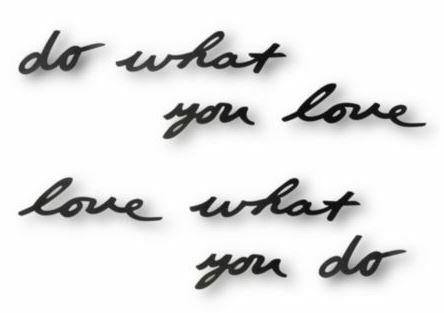 I adored this collection from Umbra that takes inspiration quotes out of frame so you can mount and display them however you desire. Spring cleaning season is right around the corner, so if you have been dreaming of an office overhaul, use this as the motivation you’ve been waiting for!